Homemade beauty products are so easy to make. They don’t tend to last as long as the store bought equivalent because they don’t contain preservatives, but making a little at a time is good enough. When you make something yourself, you know exactly what is in it, no surprise chemicals or palm oil, just what you want to put in it. 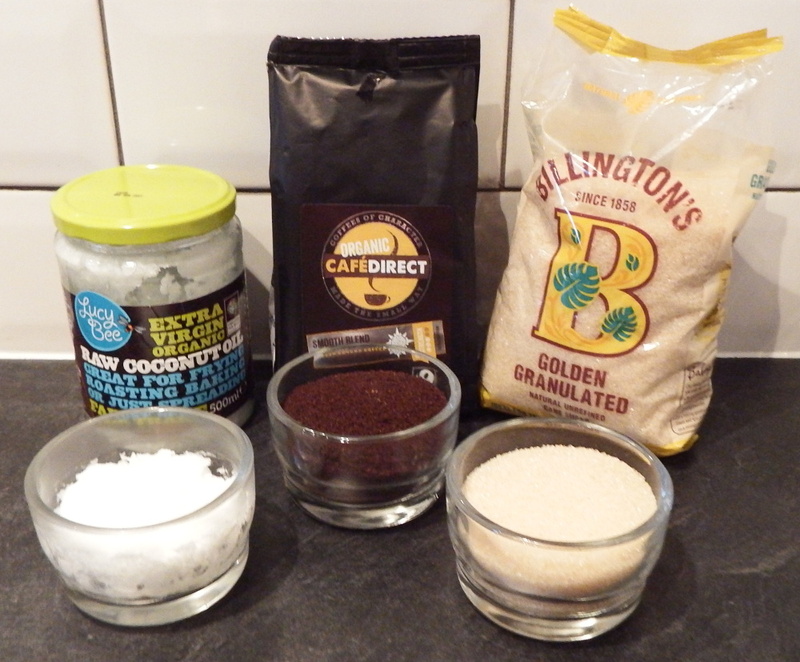 This blog is going to show you how easy it is to make your very own coffee scrub, with Organic & Fairtrade Ground Coffee from Cafedirect, Organic Unrefined Sugar from Billingtons, and Lucy Bee Coconut Oil! The caffeine in coffee grounds has amazing benefits for your skin. It helps to tighten, which in turn reduces the appearance of cellulite. Use under your eyes to minimise the appearance of puffy eyes and reduce dark circles. Caffeine is full of antioxidants which help to fight signs of premature ageing like wrinkles, sun spots and fine lines. 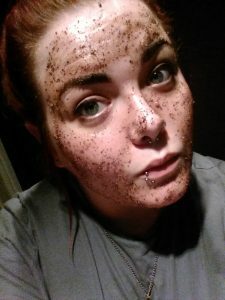 A coffee scrub is an amazing exfoliator. Blended with sugar it helps to remove dry, dead skin revealing rejuvenated, healthy-looking and smoother skin. 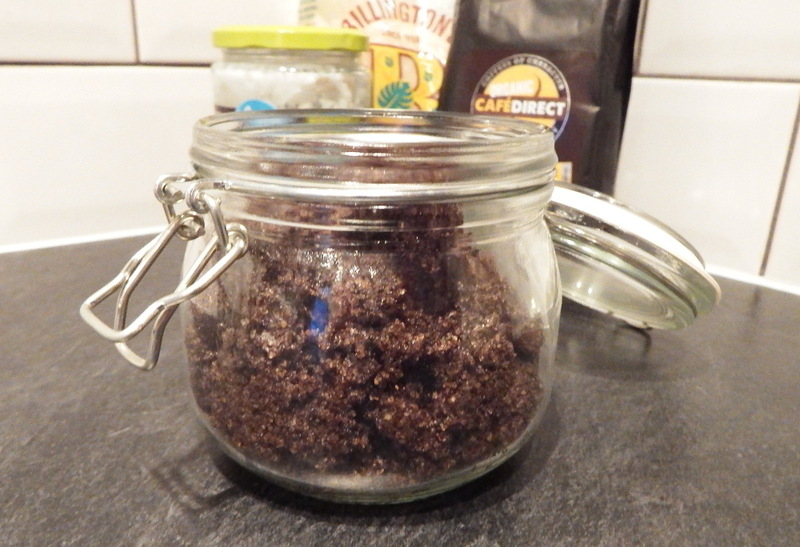 Creating and using a natural coffee scrub means you don’t use harsh chemicals that can dry out and harm your skin. It’s also important to move away from using scrubs made with microbeads as these are extremely bad for the environment. A natural coffee scrub soothes the skin, and you can add your very own essential oils to suit you. 3/4 Cup of unrefined sugar. Brown sugar works well too. It’s literally as easy as mixing all the ingredients together and then store the scrub in an airtight container. That’s it. Note that it does take a little while to really combine the ingredients, and it’s better to use the coconut oil in its solid form. To use, take a scoop at a time of the scrub and massage into your skin in circular motions. Use as much as you need for your whole body or just the areas you feel need extra exfoliation. Rinse off and continue with your shower. When using the scrub, make sure to take extra care in the shower as the oil can make the floor slippery. I found the Billington’s unrefined sugar gave a good exfoliation but felt quite abrasive on my face. It’s much better suited to a body scrub, and next time I think I’ll try softer brown sugar for a coffee face scrub. There’s absolutely no shame in being too busy to make your own coffee scrub, or maybe you just can’t be bothered – I’m usually the same! 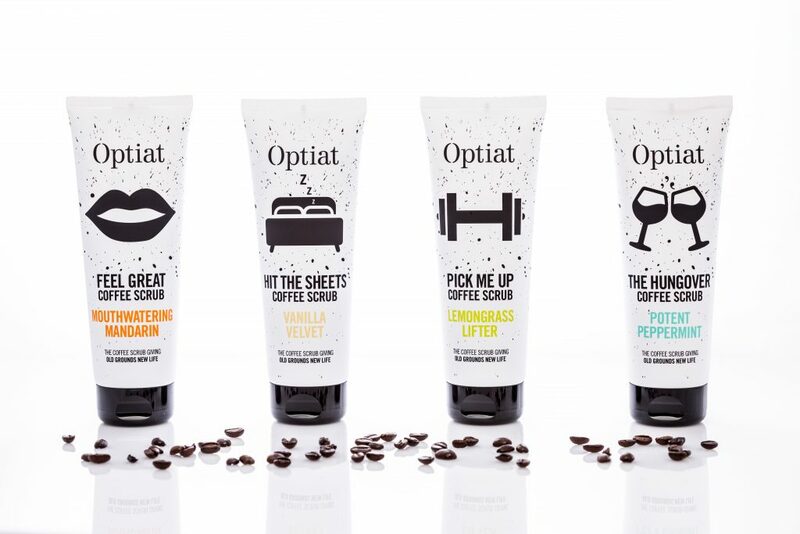 So for those of you who would much rather buy a coffee scrub then we’ve got you covered with our new range from Optiat. Made with used coffee grounds collected from London’s finest cafes, restaurants and bars, these natural coffee scrubs are Eco-friendly, palm oil free and suitable for vegans. The scrubs come in four different scents, blended with different essential oils for a different result. I’ve sampled the Vanilla Velvet and I must say I’m quite impressed with it. My skin does feel so much softer and it’s really relaxing, perfect for a shower before bed. Why not give your own coffee scrub a whirl? Let us know the results in the comments below. Better yet take a picture on Instagram or Facebook and tag us in it!